SAVE ENERGY WITH NEST: Nest introduces the 3rd generation Nest Learning Thermostat. READ THE DISPLAY FROM ACROSS THE ROOM: The Nest Thermostat does something new. A STYLE FOR EVERY HOME: The Nest Learning Thermostat now comes in four fantastic colors. 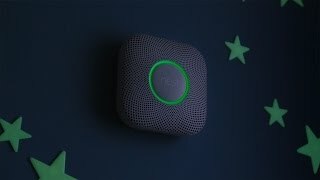 WORKS WITH NEST: Nest has worked hard to design thoughtful devices to help keep you safe and secure. THERE’S NO PLACE LIKE A NEST HOME: We love home. It’s the best place in the world. Wireless:Working Wi-Fi connection: 802.11b/g/n @ 2.4GHz Wireless erconnect: 802.15.4 @ 2.4GHzWireless. 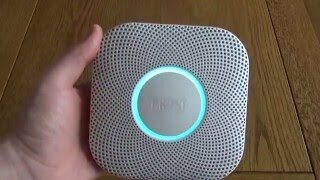 Nest Smoke Protect has been redesigned from the inside out. It has an industrial-grade smoke sensor, can be hushed from your phone, tests itself automatically, and lasts up to 10 years. 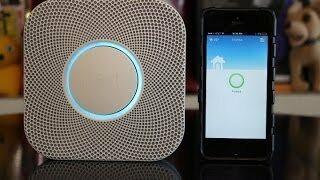 And just like the original Nest Protect, it also tells you what’s wrong and can even alert your phone. It’s your safety. Don’t settle. You wouldn’t put up with a rotary phone or a black and white TV. So why do you put up with alarms that just beep and chirp? Shouldn’t your alarm sense smoke and carbon monoxide? And alert your phone when something’s wrong? What if it could light your way at night? 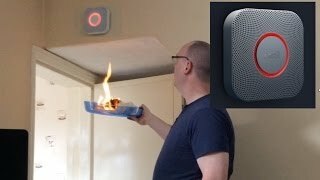 Nest Protect does. 1.50" x 5.30" x 5.30"
Excellent service, good costumer feedback and fast shipping. This is a company that cares to please their costummers!! !